On Sunday 7th May, the draw for the Birkirkara Tennis Open 2017, Malta, took place – seeing a record 44 entries in the men’s section, and an impressive 8 in the women’s. 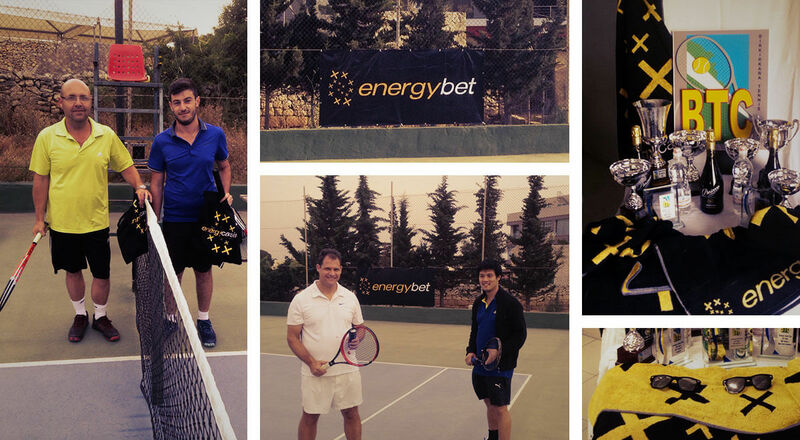 Now, it may seem relatively small, and it’s certainly not the Italian Open, but considering the tiny size of Malta, it’s really quite brilliant, and EnergyBet is thrilled to be supporting it. Not only will one of our team members, Pawel Rybak, be competing in the tournament, but EnergyBet will also be providing 90 branded towels for the players and guests, plus hundreds of cans of our very own energy drink, to help keep everyone fuelled, and lots of EnergyBet gadgets and goodies. The tournament starts on Wednesday, and with the sun already beating down hard on the Maltese islands, the competition is going to be tough! We’ll be there supporting Pawel and all the players, and we’re sure everyone is going to have a fantastic time. If you’re in Malta and want to find out more, be sure to check out www.btcbtc.webs.com.